When will be The Refugee Camp: Our Desert Home next episode air date? Is The Refugee Camp: Our Desert Home renewed or cancelled? Where to countdown The Refugee Camp: Our Desert Home air dates? Is The Refugee Camp: Our Desert Home worth watching? Anita Rani, Javid Abdelmoneim and Ben Timberlake immerse themselves in the life of Zaatari, a unique desert city in Jordan. Zaatari is no ordinary city - it is a refugee camp and home to some 80,000 Syrians who have fled the bombs and bullets of Syria's civil war and what was once a temporary camp has now become a city the size of Bath. Originally just a few hundred tents, it now has 24,000 homes with a busy shopping street (known locally as the Champs-Elysees), hospitals and schools, and like every other city on earth, Zaatari has births, deaths, marriages and everything in between. In this episode, Anita tackles the logistical feat of providing water in the middle of a desert, Javid meets some of the children recovering from injuries of war and Ben does the bakery night shift to find out how 90,000 loaves are baked every day to feed the camp. Anita and Javid are invited to a wedding and Ben finds out how war has affected education. 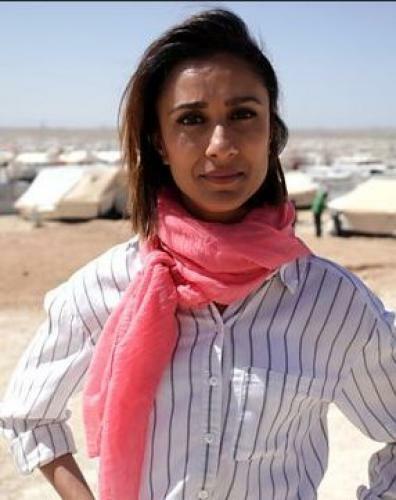 Anita Rani, A&E doctor Javid Abdelmoneim and hostile environment expert Ben Timberlake discover how Zaatari, a refugee camp in Jordan for Syrians fleeing the war, has grown from a handful of tents in the desert to a fully functioning city of 80,000 people. In this episode, Anita investigates how Zaatari is building a new infrastructure that will bring it in line with any other modern metropolis. Anita also meets some of the 11 babies that are born in this refugee camp every single week. With over half of Zaatari's population under the age of 18, Ben will spend time with the remarkable Syrians who are determined to inspire their next generation. Whilst Javid follows the families making heartbreaking decisions about whether to leave Zaatari to start a new life abroad. The Refugee Camp: Our Desert Home next episode air date provides TVMaze for you. EpisoDate.com is your TV show guide to Countdown The Refugee Camp: Our Desert Home Episode Air Dates and to stay in touch with The Refugee Camp: Our Desert Home next episode Air Date and your others favorite TV Shows. Add the shows you like to a "Watchlist" and let the site take it from there.